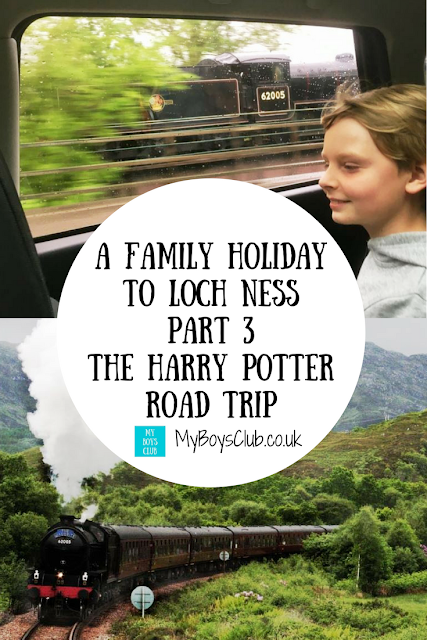 During half-term in May, we headed to Scotland for a family holiday. Our family of four based ourselves in a lodge overlooking Loch Ness and spent a week exploring the Scottish Highlands. 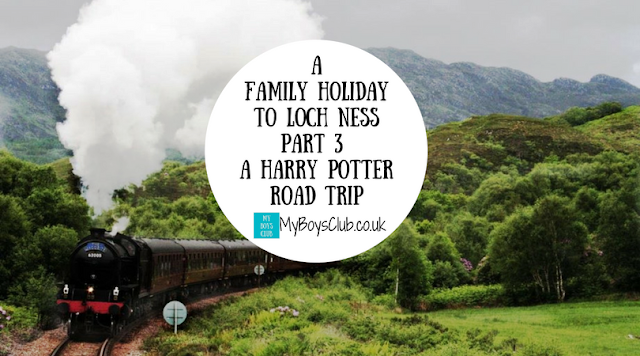 On day 3 we headed west for a 'Harry Potter' road trip. Can you believe that it is 20 years since the first Harry Potter book, the iconic Harry Potter and the Philosopher’s Stone was first published? On days 1 & 2 we enjoyed a dip in the hot tub before cruising on Loch Ness and finding our more about Nessy; and discovering waterfalls and battlefields; however for this day, we planned an earlier start for a trip to the west coast of Scotland. This meant no hot tub at the Loch Ness Highland Lodges, until later in the day, so with a packed lunch ready, we hit the road. 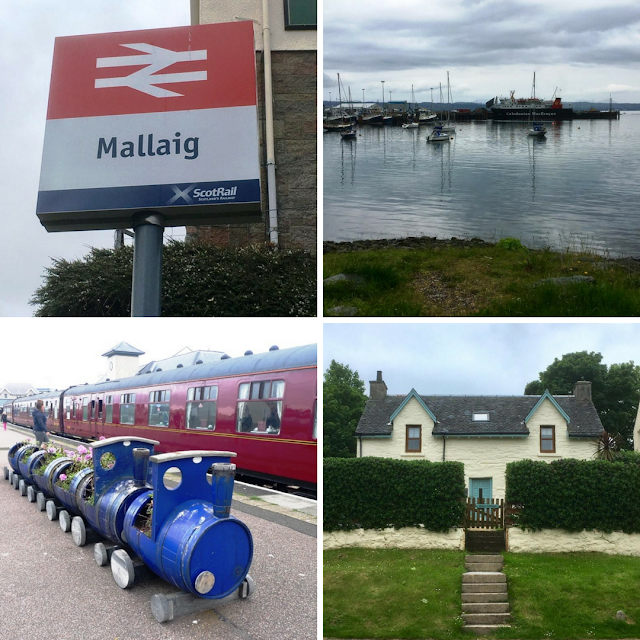 Our final destination was to be Mallaig and we planned to follow the Hogwarts Train route through the Highlands. There is a train journey on The Jacobite Express you can take, however it was fully booked when I checked it out. 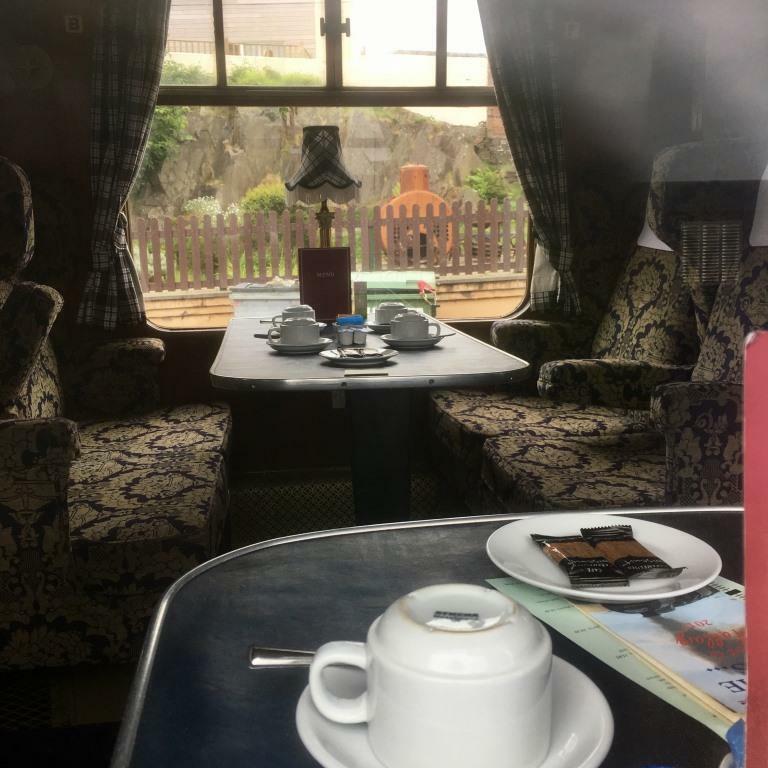 For a family of four, the return journey on the train would be £114 for standard class travel. There is also a day to day train that follows the same train line but after consulting Tripadvisor we decided to drive the route in our car. 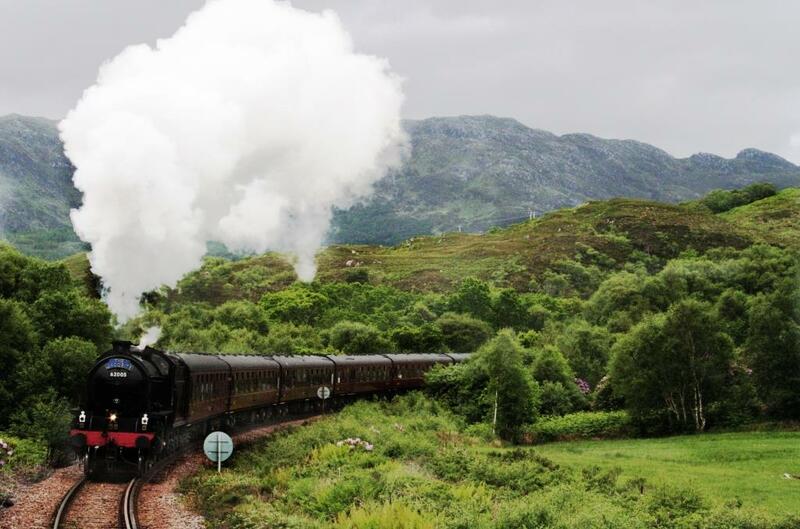 Not only do you see exactly the same scenery, but you also get the opportunity to see the Hogwarts Train and stop whenever you want to take in the breathtaking views. So to start our journey, we headed back towards Fort William through Fort Augustus, Bridge of Oich, past Loch Oich, Loch Lochy and into Splean Bridge from where you get the most amazing views of the Nevis Range and saw the pockets of snow still at the summit. 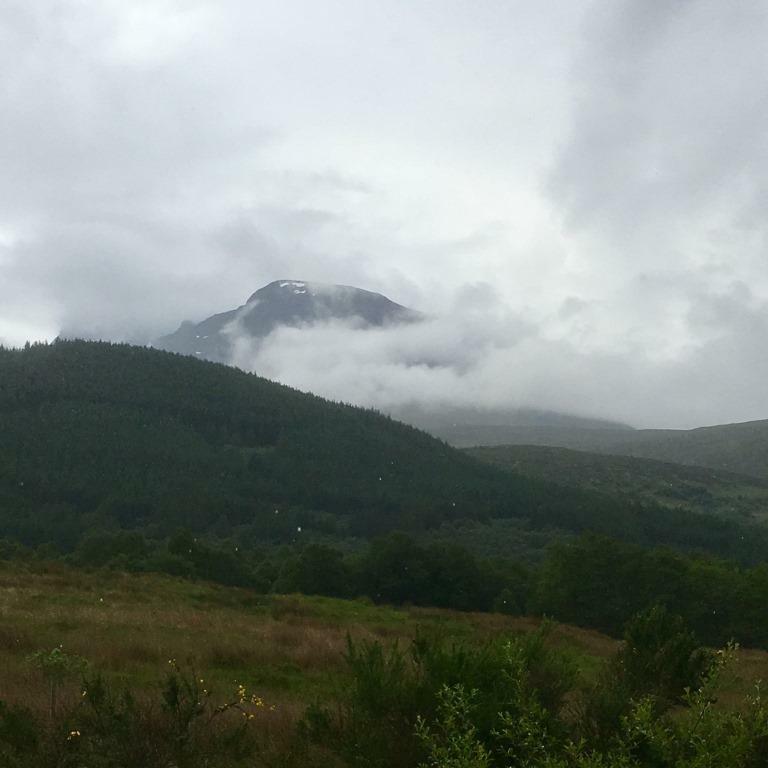 The temperature hit 30 degrees this week in Scotland but we could still see snow at the top of Ben Nevis - that took some explaining to the boys. Fort William is the largest town in the Highlands and situated at the southern end of the Great Glen, which we about to drive through. As you enter Fort William a right turn takes you onto the road to Mallaig. There is a fuel station here and we didn't see another until virtually at Mallaig so a good place to check your fuel gauge! 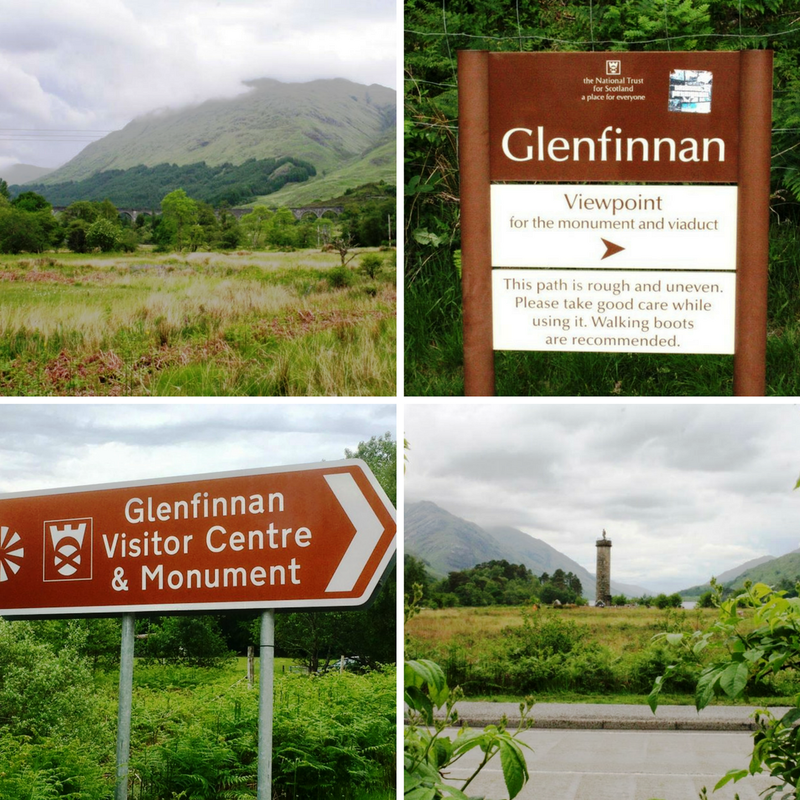 Our first stop was to be at Glenfinnan to see not only the National Monument but also the Glenfinnan Viaduct, or as we know it the Harry Potter viaduct, and the bridge to Hogwarts. The Jacobite crosses the 21-arched Glenfinnan viaduct, made famous in the Harry Potter films, which overlooks Loch Shiel and the Jacobite monument. The viaduct is 380 metres long and 31 metres high, and the train crosses twice a day between April and October, with the best viewing times of between 10.45am - 11am and then again from 3.05pm - 3.20pm. We'd planned just to follow the route, but we arrived by chance just before The Jacobite train. There is a car park, free to National Trust Scotland and National Trust members otherwise it costs £2. 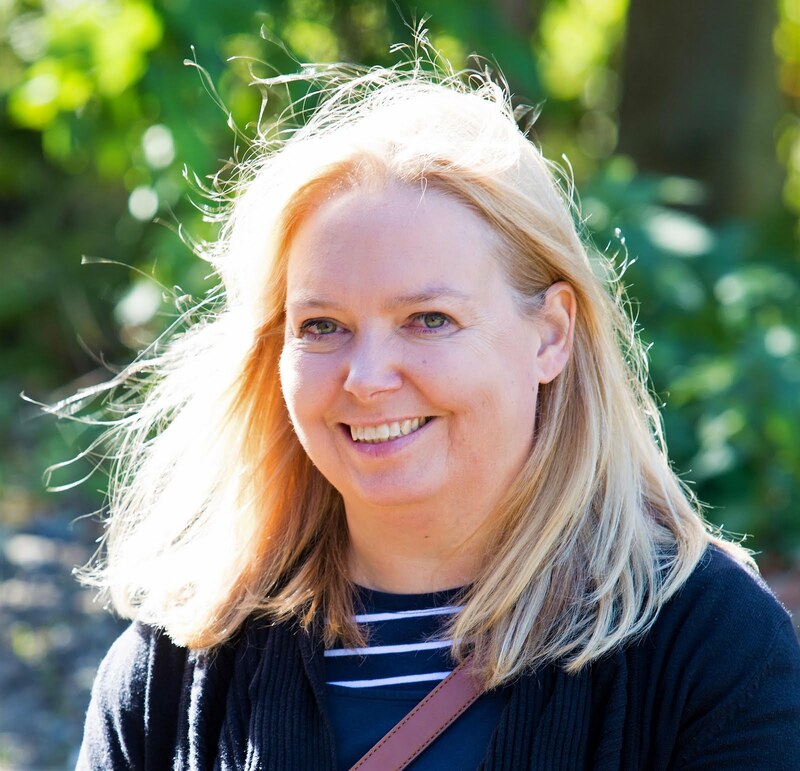 However, we soon realised that the car park is just not big enough at the most popular times and we parked in a lay-by and walked quickly back to the viewpoint by the viaduct. The car park is actually a fair distance from the viaduct but you do get a clear view of the train and with the steam, it makes it easier to pick out against the sky. There is a slightly elevated viewpoint but we didn't have time to walk up otherwise we may have missed it. 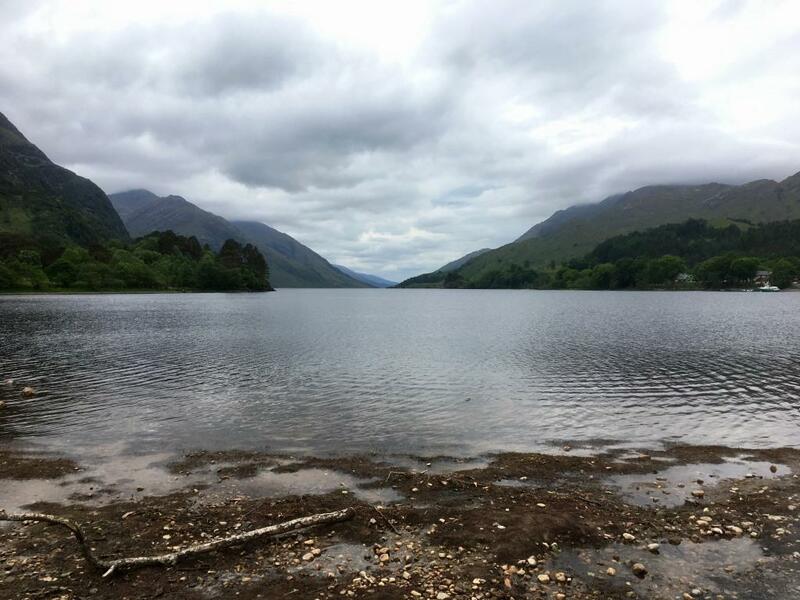 After a toilet stop, we then headed over to the National Jacobite Monument and took in the glorious views down Loch Shiel. There is also a visitor centre and exhibition here but we didn't go in. The boys were too excited at the prospect of following the train from the road. Back on the road, the route twists and turns past lochs and mountains with the train tracks running alongside the road most of the way. 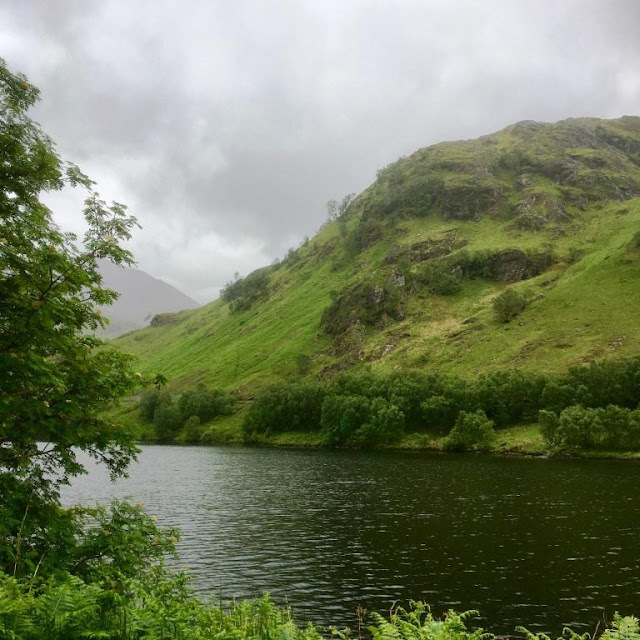 The train (and road) runs past the deepest freshwater loch, Loch Morar, and passes the deepest seawater loch, Loch Nevis. 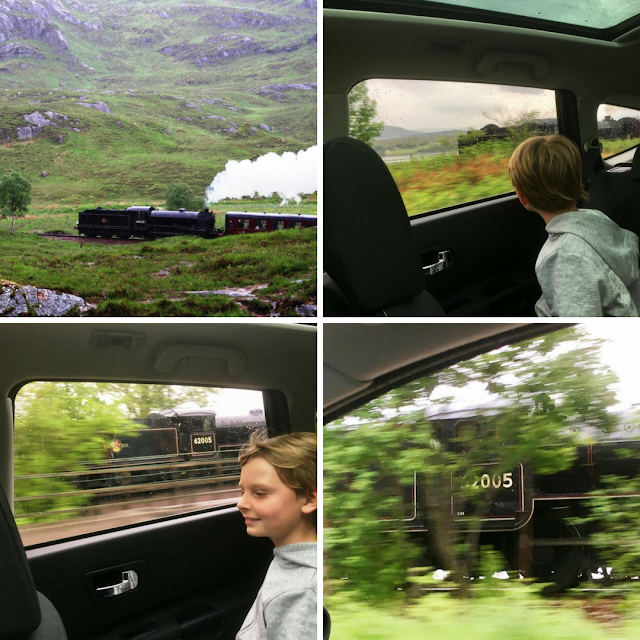 A detour from the main road at Morar to look for fuel took us to a brilliant place to take more photos of the Jacobite train (the real name for Hogwarts Express) as we had overtaken it en route. We were now just a couple of miles from Mallaig. 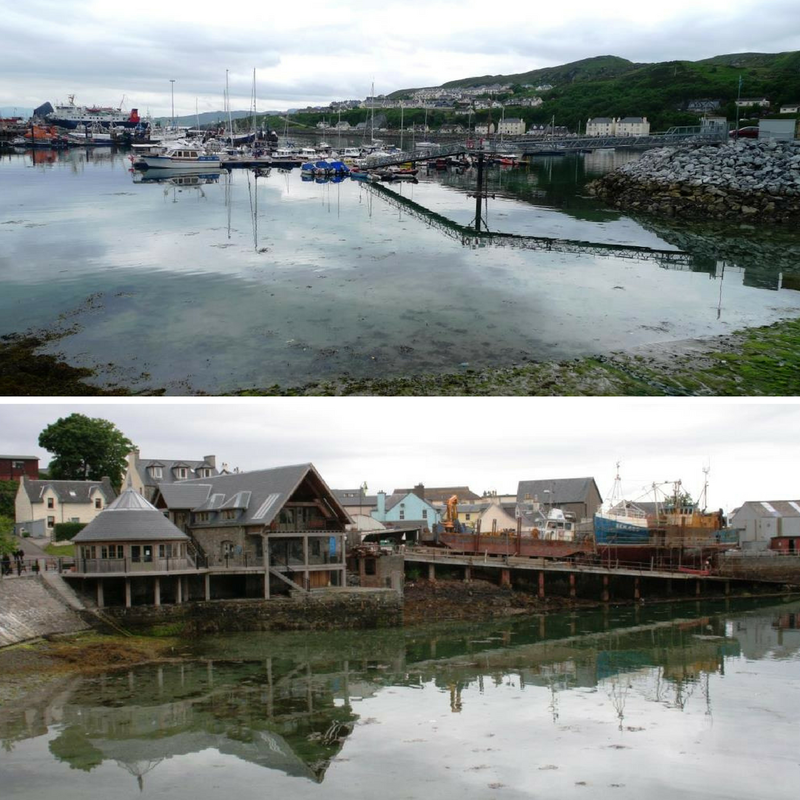 At the end of the train line and road is Mallaig is a busy fishing port and ferry terminal with services to Skye and the Small Isles. We parked up for free overlooking the port with the ferries and fishing boats continually arriving and departing and we had a walk through the harbour back to the station where we could go and take a closer look at the train and the Harry Potter-style compartments, as it waited in the station. I thought Mallaig was lovely, a bustling fishing and ferry port full of shops, bars, restaurants and plenty of fish and chips shops as well as places selling ice cream to be enjoyed. It also had really pretty cottages too. Now though it was picnic time and we'd spotted some white sand from the road just before arriving at Mallaig and we decided to head there on the 'alternative coastal route' to check it out. With place names such as White Sands and Silver Sands, this area looks more like I'd imagine I'd find in the Caribbean or the Indian Ocean rather than Scotland. Even on a fairly grey day, it was magnificent and I've already started planning my trip back, when hopefully the sun will shine. As we rejoined the main road we realised we were returning to Fort William at the same time as the Jacobite and had more opportunity to take pics as well as travel alongside - it does a steady 50mph. Even without the Hogwarts train, this is one of the most scenic drives we have done. The train line runs along what is considered ‘the greatest railway journey in the world.’ The boys loved seeing the train and travelling alongside was probably as good, if not better than actually travelling on it. We also discovered an area where we'd love to stay longer and even though it was grey the panoramic views were stunning. Next, we'll have to and try out Harry Potter World Tour just like Freddies Mummy UK. Now back at Fort William, we turned left and headed back to Loch Ness where the boys enjoyed their eagerly awaited dip in the hot tub. All in all a really lovely day. You could say that it was magical! Where is your favourite Harry Potter location? Oh my goodness! I love Harry Potter. How did I not even know this was where it was filmed?! wow what a magical time!! I am envious! So jealous of the hogwarts express!!! This looks like so much fun! We nearly went to Loch Ness at the beginning of June but the long drive put us off as we'd only have been able to go for a day. Maybe in the autumn, because it looks ace there.